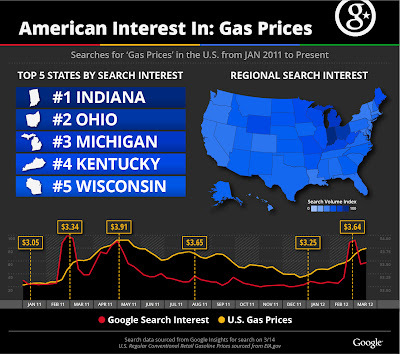 Politics & Elections Blog: How much do rising gas prices affect Google search interest? 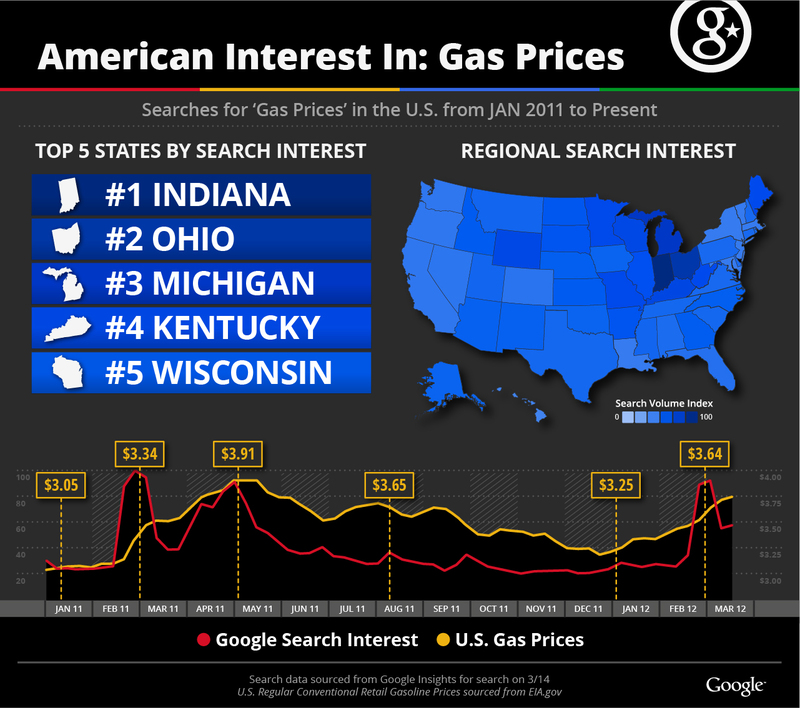 How much do rising gas prices affect Google search interest? We decided to take a look at nationwide search trends for the phrase [gas prices] since January 2011 and compared them to average gas prices over the same time period. We found that a rise in gas prices did cause a spike in searches, but that the volume of searches stabilized shortly afterward, even if there wasn’t a sharp drop in prices. I think I speak for a lot off Americans when I say I truly believe politicians really don't care about gas prices because they have the money to pay, were as alot off middle class people are being torn down by these stupid gas prices. And it is getting to they point where poor people would probably be better off if they would just sell their cars.